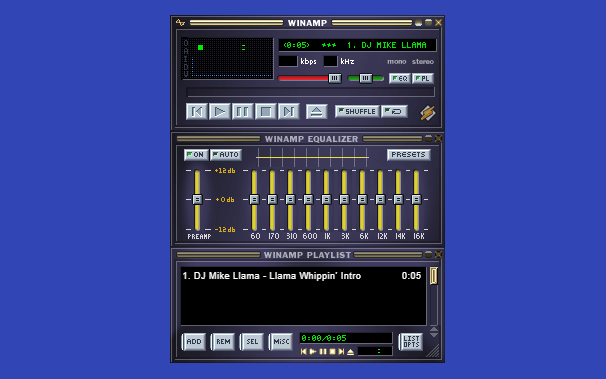 Decodes the actual skin file in your browser so you can load your favorite Winamp 2 skins! There other features like the draggable interface, you can drag the player and its playlist container around the screen. 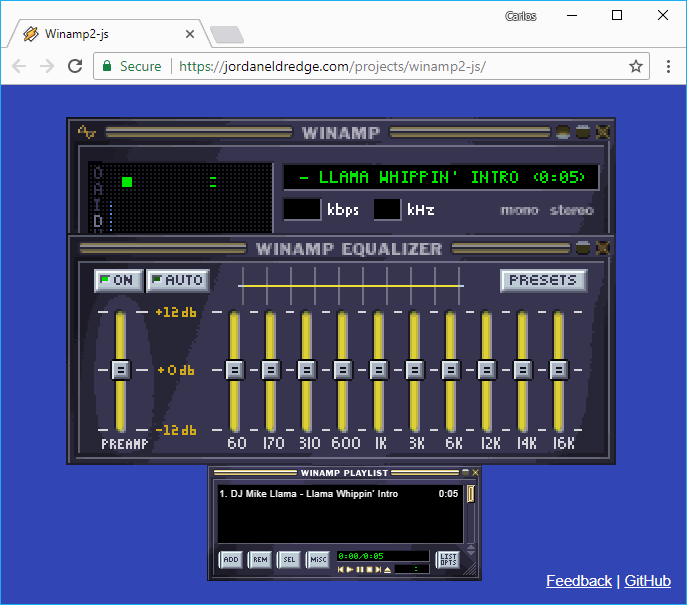 Almost all the buttons work in the same way that the original player does, except the add folder feature which can't work cause of security reasons on every browser. The application is built on top of ReactJS, you can test the application online here or explore the source code at the Github repository.